Several appeals to Buhari to reject the expression of interest and nomination forms purchased for him by the National Consolidation Ambassadors Network, NCAN, has been rejected. He received the forms at a brief ceremony in the State House at Abuja on Tuesday. Buhari, said he both grateful and also honoured to be presented with the forms by persons he described as patriotic Nigerians. He pointed out that members of the group contributed money to raise N45.5 million for the purchase of the forms. He also said members of the group were not fewer than three million Nigerians, whom he said were spread across various parts of the country. The president chronicled how his foray into politics began in 2002 up to the time of his election in 2015 and described members of the All Progressives Congress (APC), who left the party, as the weakest of people whose selfish agenda did not align with the selfless vision of his administration. According to him, with the exit of such selfish persons, APC is now made up of strong and patriotic Nigerians, whom he said were willing to toe the path of building a secure, self-sufficient and corrupt-free Nigeria. “We now have a party of strong and patriotic individuals who are ready, willing and able to continue on this journey of building a strong, secure, self-sufficient, corrupt-free Nigeria,” he said. The group had last Thursday bought the N45 million forms for the president, who is the sole presidential aspirant on the platform of APC. Speaking in the banquet hall venue of the presentation, Deputy Chairman of the Board of Trustees of the group, Mr. Chukwuemeka Nwanjuba, described the group as a network of young persons, drawn from various fields of endeavour. According to him, members of the group, whom he said were drawn from every ward of the existing 120,000 polling units across the country, made the contributions from the least of N68.00 and upward to enable them raise the money. 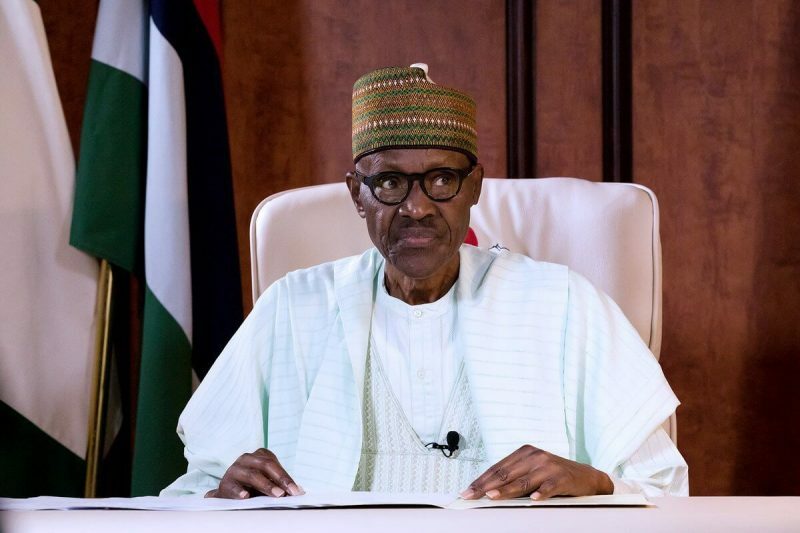 Further stating that members come from every geo-political zone of the country, Nwanjuba, who said the president had been given triple A rating, added that they took the decision because of outstanding leadership principles exhibited by Buhari, including what he described as his record performance in areas of security, economy, infrastructure delivery and financial prudence. He said the young citizens who made up the group had opted to purchase the form for the president to encourage him to continue in his service to the country and also consolidate on what he had done so far. He said, “These ambassadors whose network seeks to consolidate these gains and engrain this focus, then decided to contribute their intellect and little earnings towards ensuring that our president is encouraged to continue this service, being as it is now apparent the real beneficiaries of all the toil and tenacity of purpose that now radiates this leader. Nwanjuba said contrary to an agitation that purchasing the form for the president was a clear violation of Section 91(9) of the Electoral Act; no law was broken after all, arguing that if any law had been broken, the president would not have accepted the form.